There is so much to be said about Blowing Rock, North Carolina, the description or commentaries could never fit on a page or even be contained to an entire website. Its real estate market speaks to its charm, given how buyers all across the board fervently seek the properties for sale here. First-time home buyers, individuals and families looking to establish a vacation home, seasoned investors, and commercial businesses alike prowl the available listings in hopes of discovering their gem in the Blue Ridge Mountains of Western NC. Blowing Rock offers quite the desirable lifestyle. The town affords many recreational opportunities, a quality school system and strong healthcare system, a thriving economy, and an unimaginable aesthetic appeal. The beautiful setting is reason alone to come to Blowing Rock, and in fact, it truly is some visitors’ sole motivation. People travel from near and far to see the leaves change in the fall, for example. Others enjoy witnessing the winter wonderland around Christmas time. The picturesque scenery together with the outdoor activities makes Blowing Rock a true paradise for many. For as big as its reputation is, this resort town is rather small. Fortunately, this detail contributes to its magic. It’s known as the “Crown of the Blue Ridge,” and lives up to that title flawlessly. Potential buyers stem from all kinds of backgrounds. Some grew up here, some attended App State or another higher education institution, others vacationed here when they were younger, or simply established an interest based on research alone with no firsthand experience. Whatever story lies behind your attention on Blowing Rock we would love to hear. 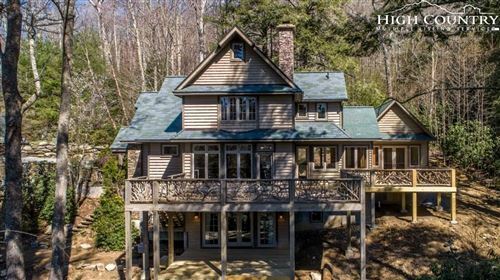 The Mountain Group at Premier Sotheby’s International Realty specializes in properties for sale in Blowing Rock North Carolina. We assist clients in finding their very own spot in this quaint village. It’s undeniably a cherished place to call home.